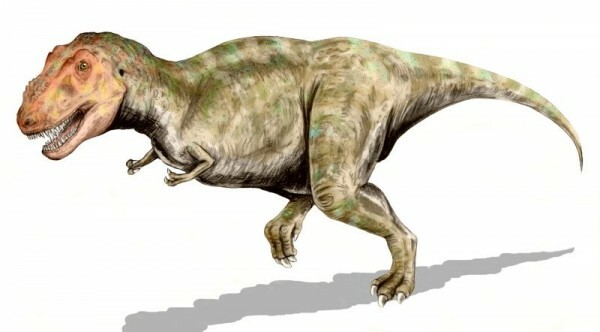 One of the very first dinosaurs that we learn about as kids is the mighty Tyrannosaurus Rex, also known as the T-Rex. Little kids, as well as many adults, for some reason are fascinated with this huge and ferocious carnivore. Perhaps it is its gnashing teeth or its short stubby arms, but no matter the reason humans simply can’t get enough of this dinosaur, maybe that’s why it’s the star of the show in majority of the Jurassic Park movies. Now when we think of the T-Rex our thoughts go immediately to the fact that it is a meat eater. So, if we were to think of any kind of dinosaur related to the T-Rex we would most likely assume that they are going to be a meat eater too. But, we would actually be wrong. In Chili, some fossils of a dinosaur were discovered in the southern area of the country by Fernando Novas and a team of researchers. On Monday this new dinosaur named Chilesaurus diegosuarezi, which is named after the area it was found and the boy who found the very first bone, was described in detail in the Nature journal on Monday, April 27, 2015. What these bones showed was that this dinosaur was about 9 feet long and shared numerous features with a few different dinosaur groups. The fossils showed that the dinosaur’s teeth were shaped more like leaves, the dinosaur had short arms and a small head, but interesting enough it had a very long neck. Based on these features researchers were able to determine that this dinosaur was not a carnivore, but an herbivore that lived about 150 million years ago. Normally classifying dinosaurs is a matter of routine, but experts had a problem with this one because of how many different features they found. All of these features made this dinosaur unique, but made it harder to place in the theropod species. For those who are unfamiliar with the Theropod these dinosaurs are usually considered to be a dominant predator that lived sometime during the Mesozoic era. As a predator they were most often thought to be carnivores, but research shows that some of these predators actually learned to eat greens. Although up until this species of dinosaur was found it usually was only the theropods that were closely related to birds that developed this taste. When Novas and his team first started excavating the bones they thought they had stumbled upon several different dinosaur species because of the various features found in the variety of bones. However, they quickly changed their way of thinking once they found several full skeletons in 2010. Even though these skeletons were only about the size of a full grown turkey Novas and his team could see exactly how each bone was supposed to fit, allowing them to solve the problem of the hundreds of individual bones that they had collected. Knowing that the bones belonged to a single dinosaur still didn’t answer the question as to why the dinosaur had so many different features. For example, the two blunt fingers on each hand showed it was a plant eater as it was missing the sharp claws of a carnivore. Another example was its pelvic girdle, which was very similar to the ornithischian dinosaurs. In an attempt to answer this question Martin Ezcurra published a study done on the Chilesaurus. What he determined was the dinosaur actually evolved several traits of different dinosaurs because it had to adapt to the same type of ecosystems as the more well known dinosaurs. This is a process known as mosaic convergent evolution. “Chilesaurus provides a good example of how evolution works in deep time and it is one of the most interesting cases of convergent evolution documented in the history of life,” Ezcurra said. To learn more about the Chilesaurus Novas and his team plan to return to the original site to see if they can’t find out more about this interesting dinosaur. So far at the current site they have found other bones that belong to prehistoric crocodiles, as well as a plant-eating dinosaur that is closely related to the diplodocus.